Especially Hiraide is a well-known figure in the scene. 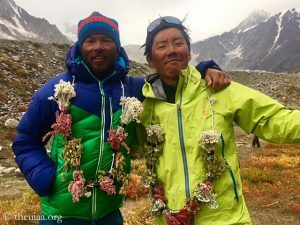 For their first ascent of the Southeast Face of the 7756-meter-high Kamet in India in 2008, he and his compatriot Kei Taniguchi were awarded the Piolet d’Or. Taniguchi was the first woman to receive the “Oscar of the climbers”. Aged 43, she fell to death on a Japanese mountain at the end of 2015. 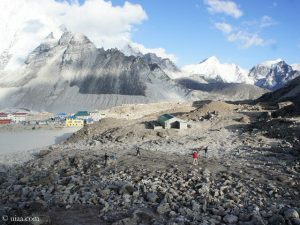 With regard to Hiraide, some will also recall a dramatic rescue operation in fall 2010 on the 6812-meter-high Ama Dablam in the Khumbu area: After having opened a new route through the North Face, the Japanese and the German climber David Göttler had gotten into trouble on the North Ridge and had asked for a helicopter rescue. After Göttler had been safely brought into the valley, the helicopter took off again to take Hiraide on board. It touched the ridge and crashed, the two pilots died. The Japanese was saved a day later by another helicopter crew. 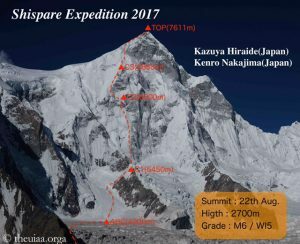 On 25 May 2017, exactly on his 38th birthday, Hiraide reached as a cameraman of a Japanese expedition the summit of Mount Everest. It was for the fourth time in his career. 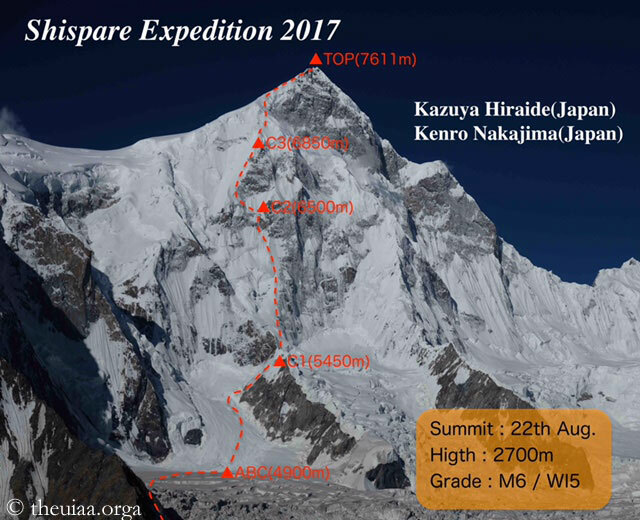 He had tackled the Northeast Face of Shispare for the first time in 2007, In 2012 and 2013, Hiraide had tried to climb via the Southwest Face of the mountain. Now he was rewarded for his tenacity. 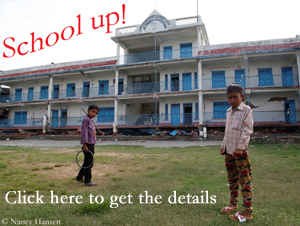 The shapely Shispare is located in the Hunza Valley and is a real eye-catcher. 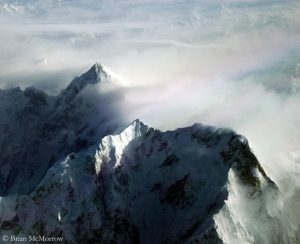 The mountain was first climbed on 21 July 1974 by a Polish-German expedition via the Northeast Ridge. Among the seven successful climbers was Leszek Cichy, who – in 1980 – succeeded the first winter ascent of Everest along with Krzysztof Wielicki, and the two Germans Hubert Bleicher and Herbert Oberhofer. 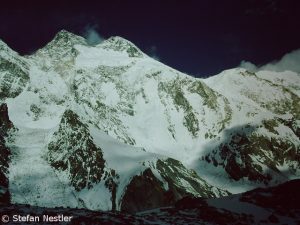 The two last mentioned climbers made two years later also the first ascent of the nearby 7795-meter-high Batura Sar. 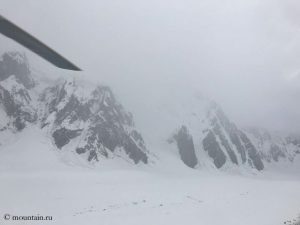 The success on Shispare in 1974 was overshadowed by a death: During the summit attempt of a second group, the German climber Heinz Borchers was caught by an avalanche and buried in a crevasse. He remained missing. “Mr. 8000” has done it again. 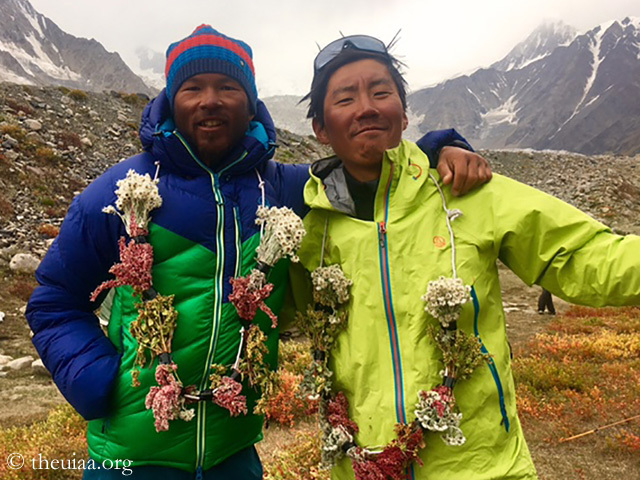 “We all are on Broad peak summit,“ Mingma Gyalje Sherpa, expedition leader and head of the Nepalese operator Dreamers Destination wrote on Facebook today. All means according to Mingmas yesterday’s post: ten climbers.